They walked up to the taxi at the signal. I was ready with my camera. I rolled down the window and said, “I’m going to take a photo of you.” They looked a little confused. I asked, “Where do you live?” “Here,” she said. “And why are you begging? And making her beg too? What is her name?” They smiled, and posed again. Urmila and Sheela live outside a railway station with their family who makes cane baskets. 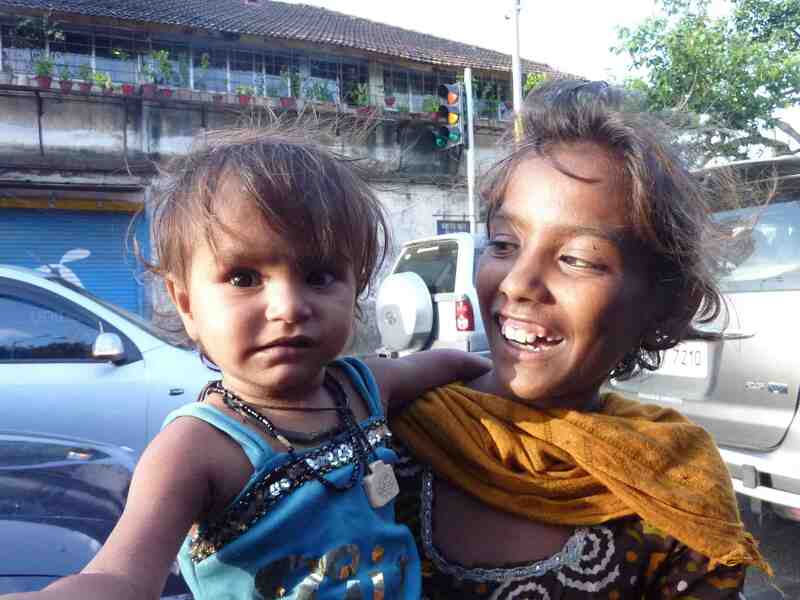 A lot of street children in Mumbai live with their families. They run out to a traffic signal to beg, to supplement their family’s income. Often the money they earn is used to buy small treats. Deepa, for instance, whose family sells flowers at another traffic junction near another railway station, loves Chinese food and chocolates. She will never say ‘no’ to an ice-cream ever. 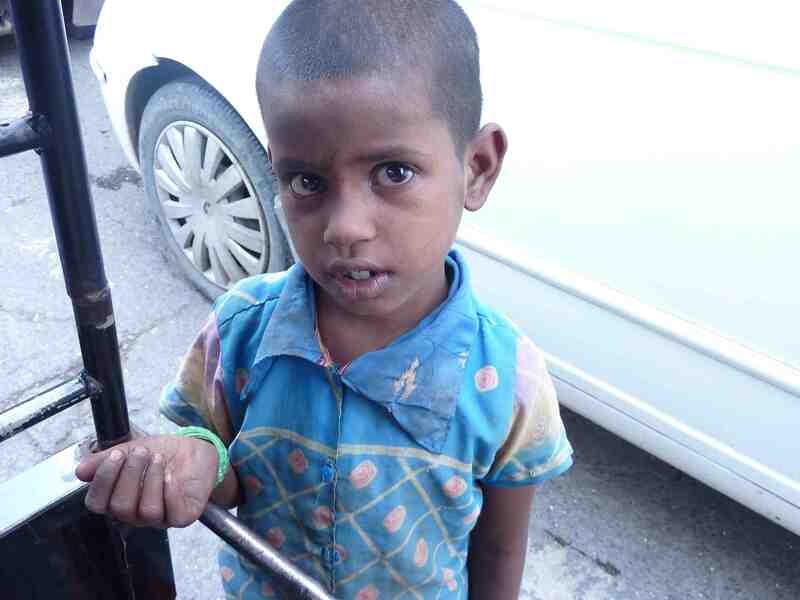 Deepa also does love being on the street, selling flowers with her family and begging. She is still young enough to see it as ‘time-pass’. Deepa hates going to school, but because of the documentary we worked on, and our repeated inter-actions with her, she thinks she can tolerate school if it means she will win our approval. The exchange of a few words with Urmila and Sheela made them smile, and forget the money they were asking for. They got lost in the pleasure of being shot. Even during the rehearsals for ‘Kaphal‘ the children opened up most when they were having fun. Otherwise, most of our efforts to have them communicate and articulate met with little response. As I inter-act more and more with children, I think, pleasure can be a huge motivator. More than dreary speeches about improving their lives with school. I love films, I love talking about films. And I am a huge believer in films as a mode of communication, not only via the film itself, but between the members of the audience themselves. What better proof than can there be than the number of friendships forged over film blogs? Or the incredible camaraderie shared by students of the Film Institute over the years, largely based on the shared experience of the films we have watched? This is the idea behind my community project ‘Streetlight’. Please go and join up the community on FB, if you have not already. The need of the hour is a venue with projection facilities for the screenings. It would be good to have an event on October 2, and November 14. 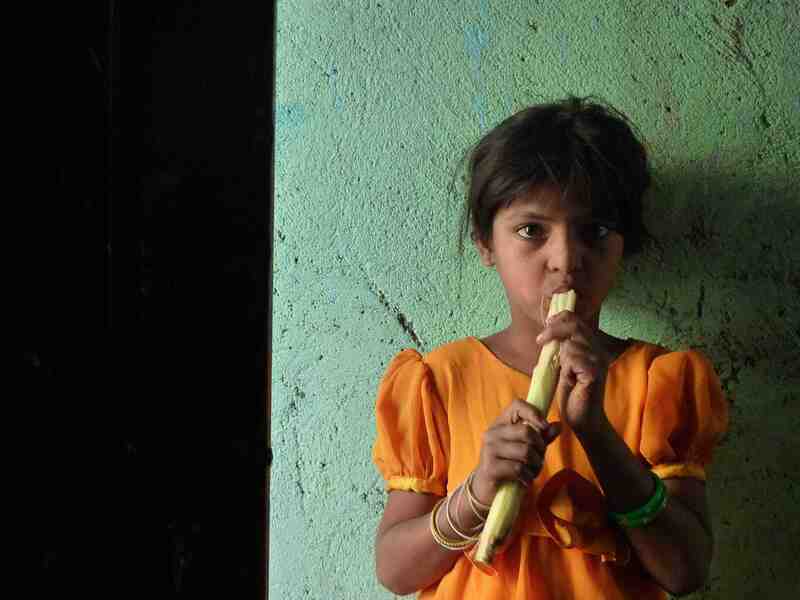 @batul: I’ve screened some films (on a bad projector) for some kids who work as child labour in a backwater town called Dhuliyan in West Bengal’s Murshidabad district. Its a wonder to see their dreary lives being lightened up by the light of the screen. Its an affirmation of the powers of our beloved medium – cinema. Kudos and all the best to the efforts of Streetlight. no thats true, maybe they just like the idea of someone keeping a photo of them somewhere. They don’t get forgotten. That’s a lovely thought, Scritch. The children are so beautiful! Streetlight sounds simply awesome! Wish you a lot of luck with the project Banno. I would so love to see one of your screenings. come to dxb, and i’ll set up a venue for you. Sanjana, thanks for the offer. At the risk of sounding like a country bumpkin, does Dxb have streetkids? Hi, Slumdog Children of Mumbai was recently shown on Polish television. It’s been over two years since its creation. Unfortunately http://slumdogchildren.org/ is not updated. Money can be paid, but nothing about further fate these children. Maybe it is worth to continue. Do You know the fate of Salaam? Did he not take drugs “bleach”. Does he was again accepted into school of Don Bosco?. This information would be helpful. I wanted to help him somehow. Stop updating the http://slumdogchildren.org/ is in my opinion a mistake. Sorry for my very, very bad English. I hope you understand. That’s what I write is better suited to an email, so You can delete it, but please reply on my email. NTO, thanks for writing in. I must admit that one of the reasons that the slumdog children site is not updated regularly, is because I am not able to send in regular updates. I get busy with my own professional work. Anyway, the latest is that we are able to continue helping Deepa and her family, sending not only her but also her siblings to school. And we have been able to make them a house. We made many efforts to put Hasan and Hussein into some form of schooling, but it has not been possible to do so. There are many complications, including religious/community ones on their front. I know that none of these answers are completely satisfactory from your point of view. Thank You very much for what you’re doing. That I understand not everything can be done. I think, someone’s should be contact with father Salaam, and later with him trying to find him. Salaam it’s not adult, and responsible for him is his dad. Maybe True Vision foundation will pay for travel and searching Salaam?. If Salaam is addicted to drugs, need to be treated, even under duress. I don’t think about the violence to him. This is a child, he is not an adult. I know that emotions do not help, but you-we need to think about and operate quickly, because time is working against him. Anyway, maybe there is someone among your friends, organizations, who would was able to take care of this matter. I know you did, and still doing a lot of good for the children, Thank You very much for that. NTO, Thanks for your concern. Yes, True Vision is always ready to help Salaam. But more can be done, in terms of locating him. The people at Don Bosco too know him, and watch out for him, as does my colleague and friend, and myself. But thanks for the idea, we can contact his father again. And persuade him to look for Salaam too. I will often looked here expecting positive news. I can see that http://slumdogchildren.org/ it is updated. Thank you. It is good see that you continue action to help these children. Will be updated concerning the Salaam? I don’t see new information about him. I most worried about him because he was an addict. I understand that so far you not found him. Deceive myself that he is at home. Maybe? NTO, thanks for your ongoing concern. No, we still have no news of Salaam. I worry for him too. He is very sweet, very vulnerable.